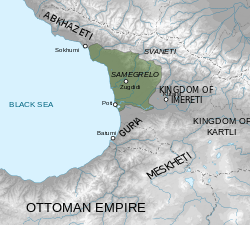 The Principality of Mingrelia (Georgian: სამეგრელოს სამთავრო, translit. 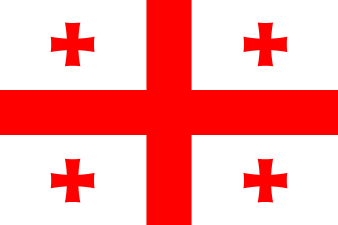 : samegrelos samtavro), also known as Odishi, was a historical state in Georgia ruled by the Dadiani dynasty. Established as an independent Principality in 1557 by Levan I Dadiani as a hereditary mtavari (Prince), it remained independent until it became subject to Imperial Russia in 1803. The principality ultimately came to an end when Prince Niko Dadiani was deposed, and the principality abolished, by Russia in 1867. Prince Niko officially renounced his rights to the throne in 1868.